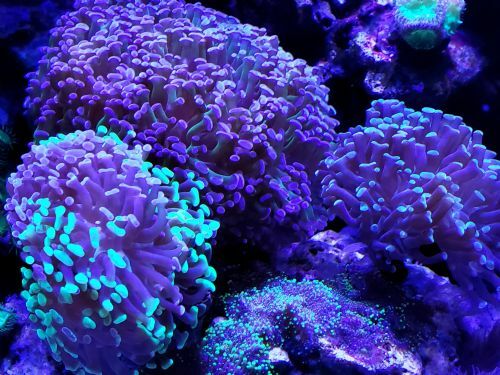 I've got bicolor, purple tip,teal tip hammer, and a gold frogspawn. Anyone have something different for sale or trade? This is my frogspawn I have. I was told it was gold, but it's kind of brownish gold. I really don't know what it's worth. My teal hammer I've got a few frags maybe 3 to 5ish heads each, but also I'm not sure what there worth. I'd be willing to sell both.